Thank you. Im from just south of there and every date night we park in Pineville and ride the light rail. There is always something to do or see. I love our little slice of the south. I hated the Huffington Post article! Your represented Charlotte more accurately. I'm a transplant and I love living in Charlotte. Thanks, Shelley! Welcome and glad you are happy here! I love this Sherry... although, I am not a fan of Charlotte....ONLY because I live in Smalltown USA , less than an hour from Charlotte. We do go there from time to time....but I am not a fan of traffic, nor crowds....lol! In more than 25 years of traveling across this country for a "certain" airline you might be familiar with(I was once based in Charlotte), I can honestly say that the most terrified I have ever been was in downtown(uptown) Charlotte. After 2 very scary forays out into the streets to go to a restaurant(one including being caught in the crossfire of a gunfight between two cop cars an another vehicle), I never left my hotel again when I laid over there. And I have done many crazy things in my younger days, like ride NYC subways at 4am before Giuliani cleaned up the town. I certainly hope it has improved! However, my major objection to Charlotte is the same one that compelled me to leave my hometown of Houston years ago. It just doesn't seem to have a soul. It's all freeways and mirror glass buildings. I HATE that. Atlanta is the same way. Not for me. If I lived in the Carolinas, it would definitely have to be Charleston. The city I chose to live in is Memphis. Run down. Dirty. Brimming with culture and character... "soul". I would like to add though... before you consider me a terrible person... I really like the people from North Carolina that I met! Two nights in uptown notwithstanding. Obviously, Clay, you are in a different "demographic" than I am. I am a thirty something wife, mother, and working professional. 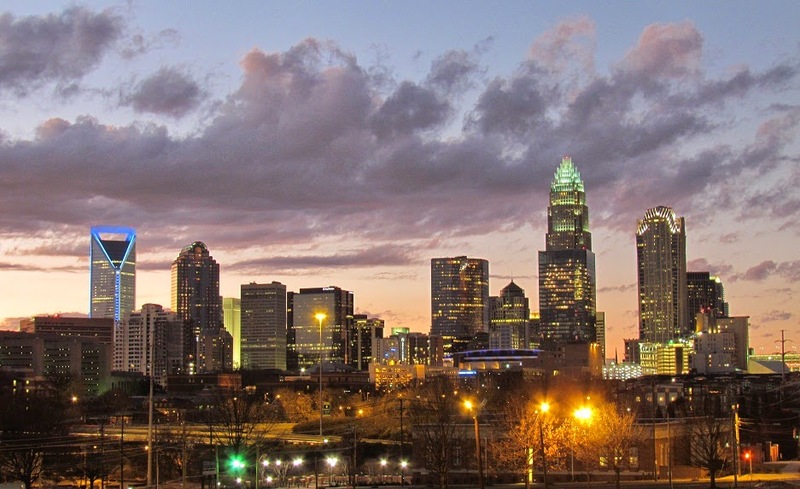 If you are looking for a dingy and dirty town to meet your definition of soul and culture, then Charlotte isn't the place for you. I don't know where you were hanging out, but "uptown" is a clean, trendy, artsy place and great place for a nice night out. Like any large cities, Charlotte has its rough areas, but it isn't in the center city area now! If you like dirty, Charleston may not be your cup of tea either unless you go to the "wrong side of the tracks" parts. Thanks for your input! This is funny because I just had a conversation with a friend about how you can insult your own hometown but it is off limits for anybody else. I was saying some stuff about Tucson that was totally true, but that if anybody else said I would totally disagree with them. Ha ha! I found this to be really interesting for a number of reasons. And now I totally want BBQ- of any variety! Thank you for taking time to write this. I moved from California 4 years ago, and I don't think I would go back. Ugh! Welcome to the heat, the youth with a terrible sense of entitlement, and prejudices. Museums don't give your city culture... NASCAR does! Way to represent, my family is native to Charlotte and proud of it! Every city and state has its issues, but we have so much to offer, plus you just have to be willing to venture out and try new things. Great article you wrote, thank you. I read the original article and was completely unimpressed with it. We have Uptown Waterloo and no one thinks twice about it. Seriously, that's what she found to be irritated by?!?! I really liked hearing your take on the real Charlotte as opposed to what the author of the Huffington Post article thought. I try not to watch the news too often, but when I do I don't know why they call someone getting gunned down in SouthWest Atlanta as "news." It is really just a weekly occurrence.